TomTom (TOM2) has launched the all-new TomTom RIDER, designed to make every motorcycle ride more exciting. For the first time, bikers can choose the level of twists and turns they want to ride to create their own adrenaline-filled adventure. The all-new TomTom RIDER helps bikers discover and explore new routes. Simply select an area to ride on the map and TomTom RIDER will suggest the most exciting round-trip. 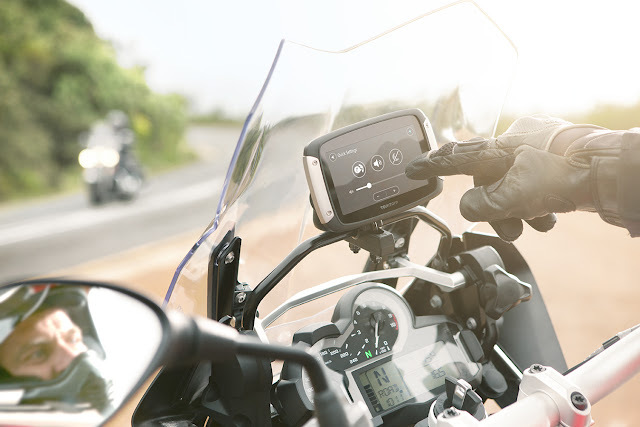 Bikers can build excitement before setting out by creating and sharing touring adventures with friends and uploading direct to their TomTom RIDER. The RIDER comes pre-installed with a full map of Africa with 57 African countries and Free Lifetime Map updates. The map coverage includes over 7 million KM of roads and off roads, more than 1 million Points of Interest such as campsites, petrol stations and national parks making it the perfect African companion, from the city to the great outdoors. The device make use of different colour options for different times of day which enhances Sunlight Visibility also. 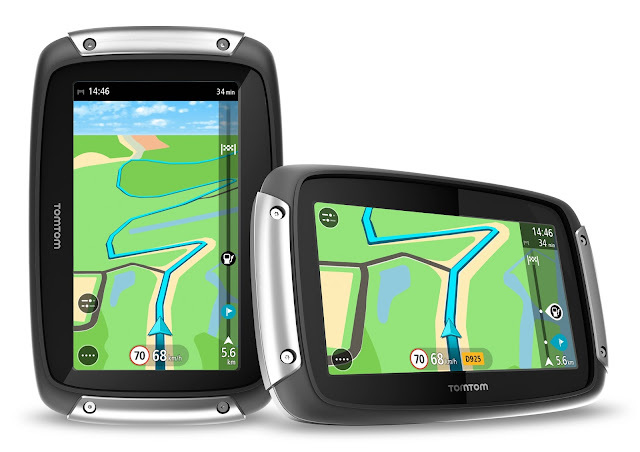 The stylish, yet rugged TomTom RIDER has been completely redesigned for life on the road. An innovative rotating mount, allows bikers to switch to portrait view to see more of the bends ahead. It has a glove-friendly, interactive screen (pinch, zoom and swipe) to make it easy to find and explore new places. Bluetooth enabled audio instructions delivered to the headset or helmet, gives bikers more freedom to just enjoy the ride as well as the device gives hands-free calling option also. Trips can now be recorded so that you can re-do the same later and the trip statistics can be viewed also. TomTom was founded in 1991 and headquartered in Amsterdam, and have 4,200 employees worldwide and sell their products in over 46 countries. TomTom (TOM2) mission is to make technology so easy to use, that everyone can achieve more. They have created easy to use navigation devices, helping millions of people to get where they want to be and this one is no different with so many features for the Riders around the world! I would love to use the winding roads feature which can help you avoid straight roads and make some memorable journeys along the way. I miss my bike which I rode for more than 10 years (2002-2013) before my parents sold it off. I have been to all places - IPL matches, Product launches at 5 star hotels and fun trips all on my 100cc bike and it never disappointed me ever.